National Federation of the Blind | Snap pictures, listen to printed text read aloud, store and share documents and more using the KNFB Reader iPhone app. 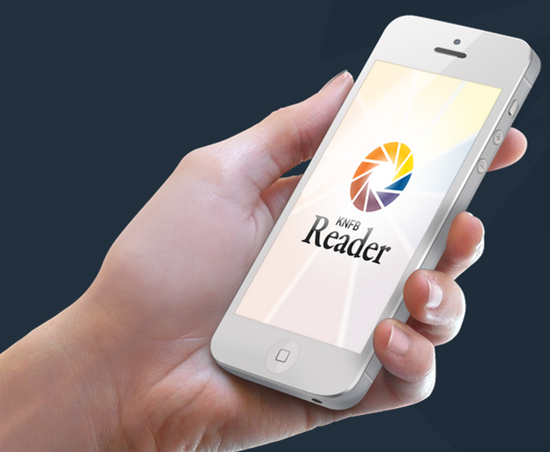 The KNFB Reader app for iPhone is available in the Apple iTunes app store. excerpt | Jonathan Mosen, who has been blind since birth, spent his evening snapping photos of packages in the mail, his son’s school report and labels on bottles in the fridge. In seconds, he was listening to audio of the printed words the camera captured, courtesy of a new app on his Apple iPhone. “I couldn’t believe how accurate it was,” said Mosen, an assistive technology consultant from New Zealand. The National Federation of the Blind, the nation’s leading advocate for access to print by the blind, has applauded the release of KNFB Reader, a new app for the iPhone and other Apple iOS devices, which uses the phone’s camera and state of the art optical character recognition (OCR) technology to give the blind instant access to the contents of print materials. Members of the National Federation of the Blind have worked with KNFB Reading Technology, which developed the app along with Sensotec, KNFB Reader is now available in the Apple iTunes app store. Mark Riccobono, President of the National Federation of the Blind, said: “The National Federation of the Blind has been involved for forty years in the development of technology that helps blind people to acquire access to the various print materials that we all encounter from day to day. Ever since our first collaboration with Ray Kurzweil to develop the Kurzweil Reading Machine, which was the size of a household appliance, we have been interested in the development of better and more portable reading technology. Print on office documents, flyers, letters, menus, labels, and throughout our environment is still a part of everyday life, even with the increased electronic transmission of documents. Now revolutionary technology that resides on the phones that many of us carry each day provides instant access to the printed word. The highly anticipated KNFB Reader converts printed text into high quality speech to provide accurate, fast, and efficient access to both single and multiple page documents with the tap of a button on the iPhone. 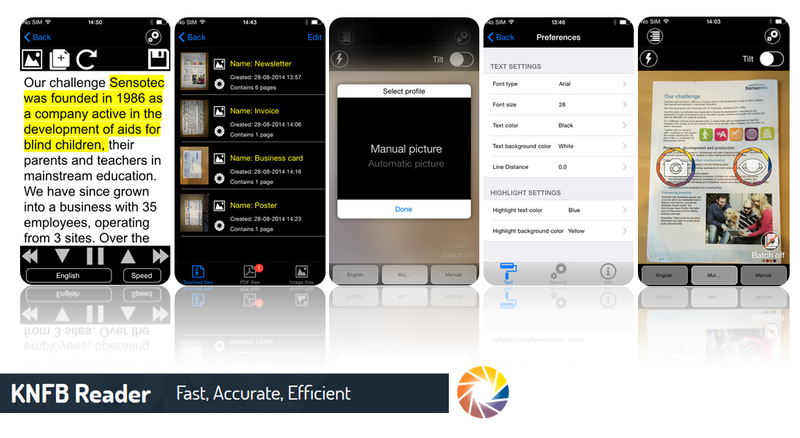 Picture accuracy is facilitated by a Field of View Report, Automatic Page Detection, and Tilt Control. Our app allows users to capture pictures of virtually any type of printed text, including mail, receipts, class handouts, memos and many other documents that you may encounter. Proprietary document analysis technology determines the words and reads them aloud to the user with high quality text-to-speech and braille access. Individuals with print disabilities will benefit from the synchronized speech and text highlighting capabilities. KNFB Reader will revolutionize access to print materials for the mobile professional and busy student by providing advanced state of the art mobile reading technology in a single hand-held device.